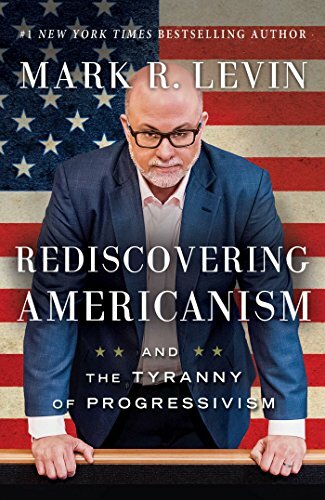 R rediscovering Americanism is the latest book by Conservative Talk Show Host Mark Levin. One of the intellectual giants of the conservative movement, his books never cease to be both informative and enlightening. This latest venture is no exception. This latest venture is by far his most intellectual, giving readers ample historical perspectives to chew on. His previous books were geared more towards the novice, primers in conservationism if you will. Not that they were void of substance, even the well read conservative would find nuggets to chew on. In contrast, this book is fit for a masters level course. It provides a blow by blow history of the battle between conservatism and progressivism. It does this while still maintaining Levin’s classic plain spoken style. Criticisms are few but notable. In the hard copy at least, the fact that his quoting of other writers is not clearly defined can lead to confusion as to whom is speaking. He dances around the subject, but does directly not take on progressives historical connection to eugenics, and Darwinism. These are slight criticism given the value of this book to the conservative cause. It deserves a place along side classics like The Road to Serfdom, and Capitalism and Freedom. A book that should be in every conservatives library.